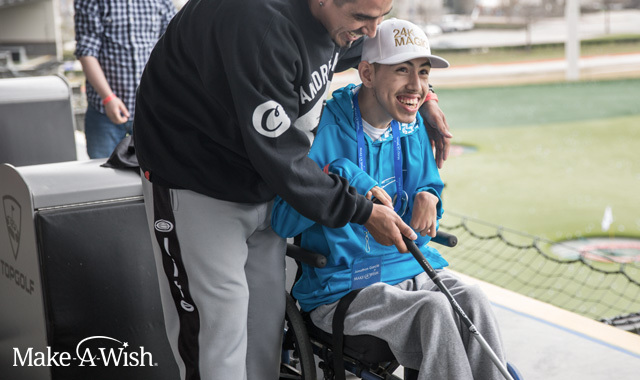 Giving is a key element of Topgolf’s CARING Core Value, so it is a privilege to share our success with the communities that have supported us. We donate time and money to causes that strengthen our cities and bring people together. From food banks and pet rescues to classrooms and hospitals, Topgolf Associates spend more than 8,200+ hours volunteering each year in our local communities. Topgolf tournaments make for great fundraisers. The Topgolf experience is social and interactive, so it can be enjoyed by both non-golfers and golfers, expanding your potential donor base. There are no rain-outs or weather delays, and we provide a turn-key experience so you can focus on what’s most important: raising money for your cause. Ask Topgolf for Help Request Support for Your Cause! We provide donations, volunteers and sponsorships to hundreds of charities in our communities every year. Click below to review our donation criteria and apply.